Learn how Tourzilla can help grow your business! 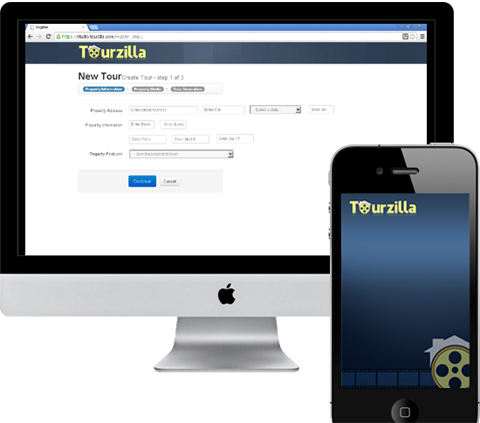 Watch this quick and crisp video to learn more about what tourzilla is, how it works and most importantly, how it can help you with your real estate business.  Create awesome video tours easily! Tourzilla allows agents to create “awesome” looking real estate video tours, that are optimized for lead generation, with just one click. You can use our easy web interface or even our smartphone app for creating the tours. You can create tours like this in just one click. We understand that video editing is hard and that is why we created a product that allows you to just provide us the raw media and information and let us take care of rest. As soon as you tour is generated, it is ready for distribution on any or all of your favorite social media outlets. Our mission is to create software that just works, without issues and workarounds. We also believe in maximizing the productivity by moving the complex stuff to software. Tourzilla uses Amazon Cloud to store and present tours to the clients of our users. Using the strength of the cloud, we ensure that tour is presented to the clients as quickly as possible whenever and whereever they want. If need to make chagnes or adjustments to your tour - just update the details or add / change pictures and click one button to generate the tour again. If you like the revised tour, click one more button to make the new tour live on the web. Its that easy.